Green gram also has another name as Mung bean/Moong bean. An Interesting note is that this English word Mung came from Tamil word Mungu...source wiki. 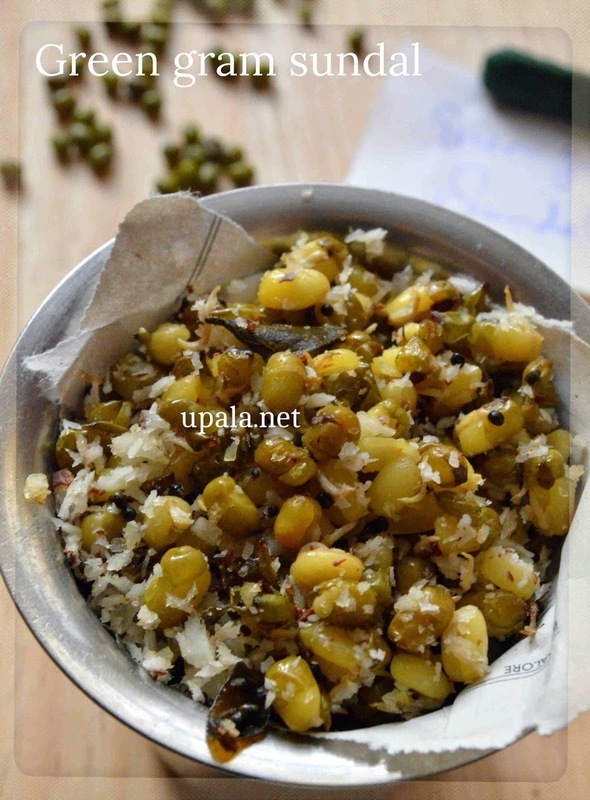 I prefer making this pasi payaru/Moong dal sundal after sprouting, as it increases the nutritional value. 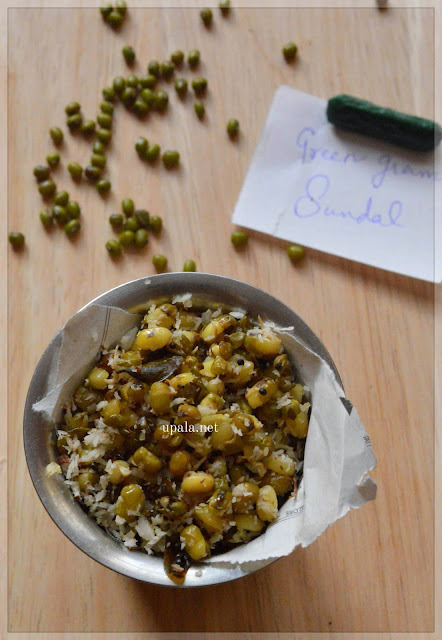 You can also prepare this sundal with out sprouting. 2) Steam the sprouted moong dal until it turns soft but not mushy. 3) Heat oil in a kadai and crackle mustard seeds. Then add Asafoetida, Red chilli and curry leaves and give a quick fry. 4) Add this cooked green gram, salt and grated coconut. Mix them well. 1) Another method to sprout is, after transferring to cloth wrap the green gram and keep it in casserole. Sprouts will develop faster in this method. 2) Small sprouts are always better instead of leaving the sprout to grow longer, since it will not taste good. 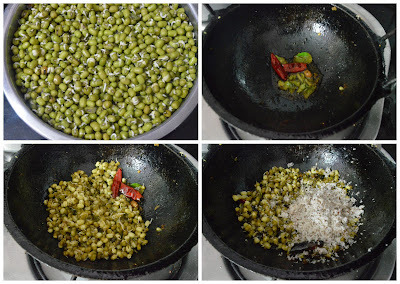 3) I prefer cooking this green gram in electric rice cooker. If you are using pressure cooker, just leave 1 whistle as it will get mashed up easily.